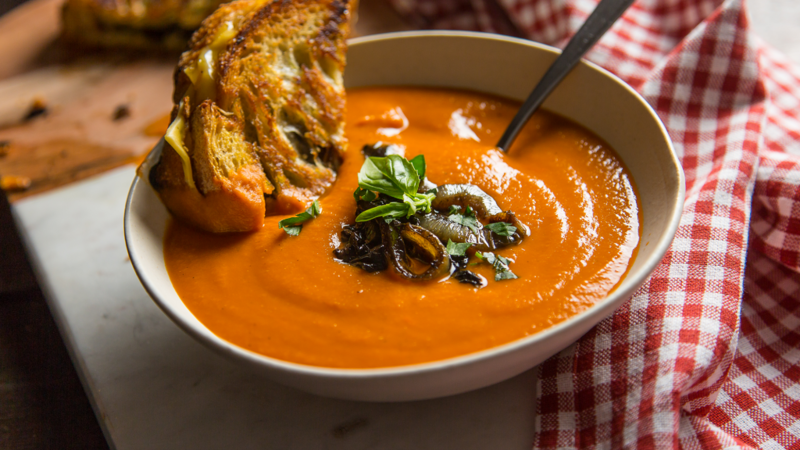 Tomato soup and grilled cheese are the perfect pair, so why not share this plant-based meal with your better half? You don’t need to go to a fancy tapas restaurant to enjoy tapas. 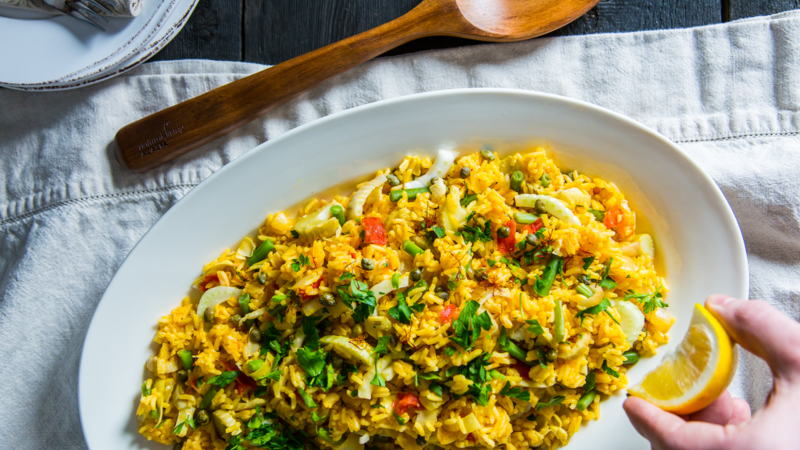 Grab your rice cooker and make this easy paella recipe. Combine with a selection of olives from the olive bar and a lit candle. Host your own Taco Tuesday. Start with the meat, then dice some tomatoes and onions to make your own pico de gallo. Make guacamole, or mix diced avocado with a bit of lime juice and sea salt. Take it to the next level by making pickled jalopenos, red onion and carrots. Just slice thinly, and soak in white vinegar for a minimum of 20 minutes. 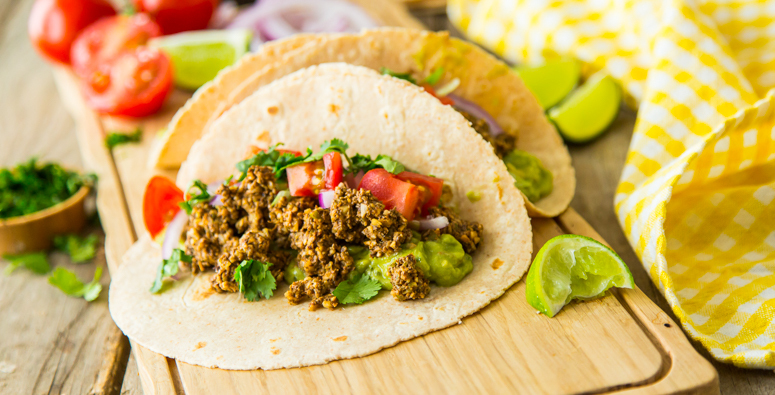 Assemble your own tacos so both of your taste preferences are met. 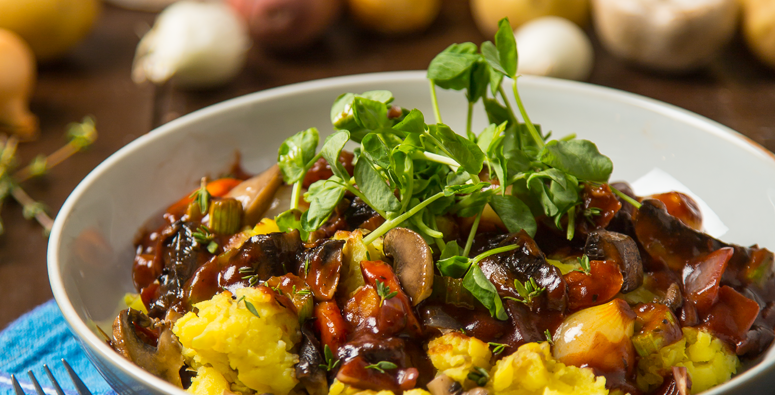 This recipe calls for two cups of red wine. Feel free to divide the rest of the bottle between you both. Don’t let the fact that this is a wrap make you think it’s not impressive. 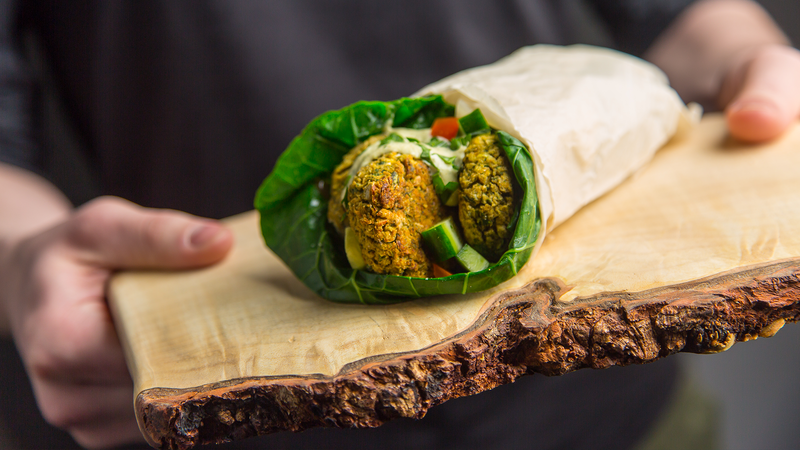 Delicious homemade falafel, combined with homemade hummus, is a delicious, satisfying meal. 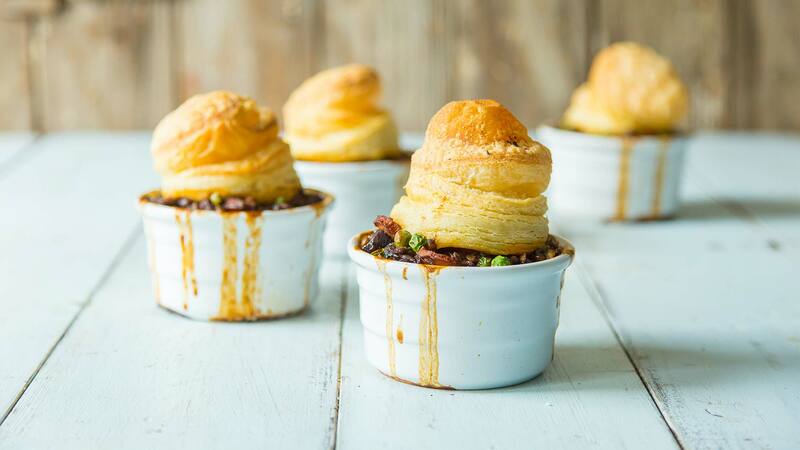 In the awkward cusp between winter and summer, warm up on a chillier spring night with these portioned savory pies. Best paired with the stout you still have in your fridge. 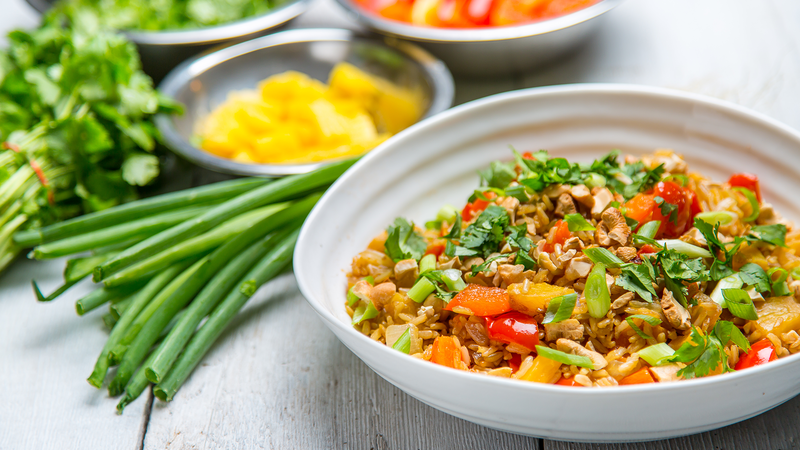 Grab your sriracha, and make a quick, good-for-you-both fried rice recipe. 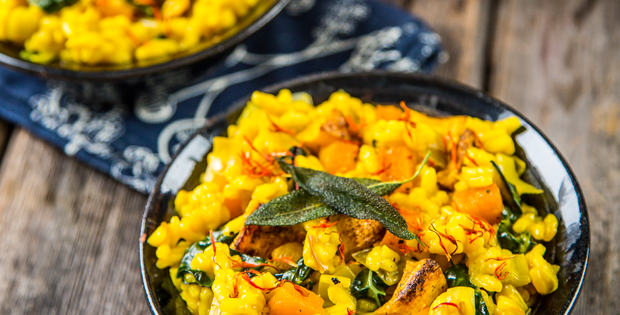 Your patience will be rewarded with this slow and steady date night meal. What’s your go-to date-night meal?